This display of eye candy colors is on my way to the library, and I always walk a little bit slower when I’m passing it. The details are nice on a lot of them- little owls hiding in the patterns and the like. 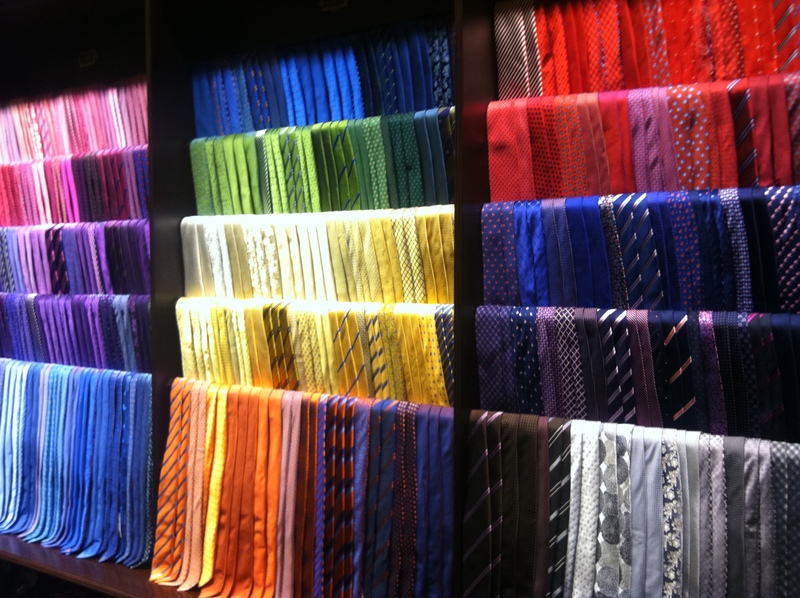 At $109 a tie, I doubt I’ll be disrupting the rainbow anytime soon, no matter how intriguing the patterns.